Turkey francaise recipe is a great alternative to the traditional chicken francaise recipe! Turkey just doesn’t get enough credit. 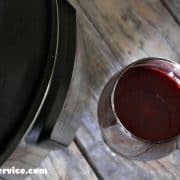 There are so many great turkey cooking recipes, and can be utilized as a great meat substitution in so many different ways. Delicious, versatile and available in a variety of cuts, turkey is naturally low in fat and provides immune-boosting nutrients like iron, zinc and potassium. It’s also packed with lean protein to keep people feeling full longer and satisfy their appetite for health and fitness. With so many different cuts of turkey available, I’m sure you’ll find one to add some extra yumminess to your plate! In another post, I made an amazing Turkey Chili Recipe with ground turkey. This time around, I used turkey tenderloins that I hand cut into turkey cutlets to replace chicken breasts in this classic francaise dish. It was so moist and delicious! You can also Visit Serve Turkey for more Yummy Recipes! Also, be sure to follow Serve Turkey on Twitter! As the organization to which the turkey brands and processors belong, the National Turkey Federation’s role is to promote the turkey industry. They try to make sure that farmers are keeping up industry standards of raising turkeys and making sure that farms are run in a humane way as possible. They also love bringing awareness to everyone of so many great benefits of eating turkey, and the surprising amount of cuts that are available form ground turkey, turkey bacon, turkey sausage, and so much more! My Turkey Francaise recipe turned out so super amazing! It turned out extremely moist, and the addition of the lemon is a great accent that added just the right amount of acidity to the dish! To help you along the way of life of making this recipe, I made a super quick and simple video for you to enjoy! Now, it was my first ever recipe video to make, so there is a spot or two that happens a little too fast with the steps…but they are kind visually self explanatory once you read the recipe below it. Please enjoy the video! I hope you enjoy it as much as much family did! 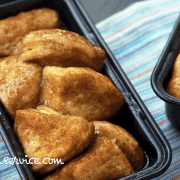 Cut the turkey tenderloins in half at an angle to create cutlets out of them. Place a medium sized pan on medium heat. Add oil and wait until it is heated to start cooking breasts. In a small bowl add flour, and in another small bowl whisk together the 4 eggs with 2 tablespoons of water. Dredge the turkey cutlets into the flour and then coat with eggs. Cook for approximately 2 1/2 minutes on each side. You will have a nice golden color. One breasts are cooked, to the pan add your chicken stock, lemon juices, parsley, and your butter. Coat the butter tabs with the flour to help slightly thicken the sauce. Bring to a small rolling boil. Then add your turkey cutlets back to the pan and top off with lemon slices. Cook for an additional 2 - 3 minutes. 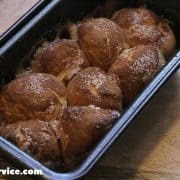 If you enjoyed this recipe, please don’t forget to share! And remember…EAT TURKEY! It’s so delicious! This looks amazing! We love turkey, but I don’t have very many recipes. Adding this one to my recipe bbok now!